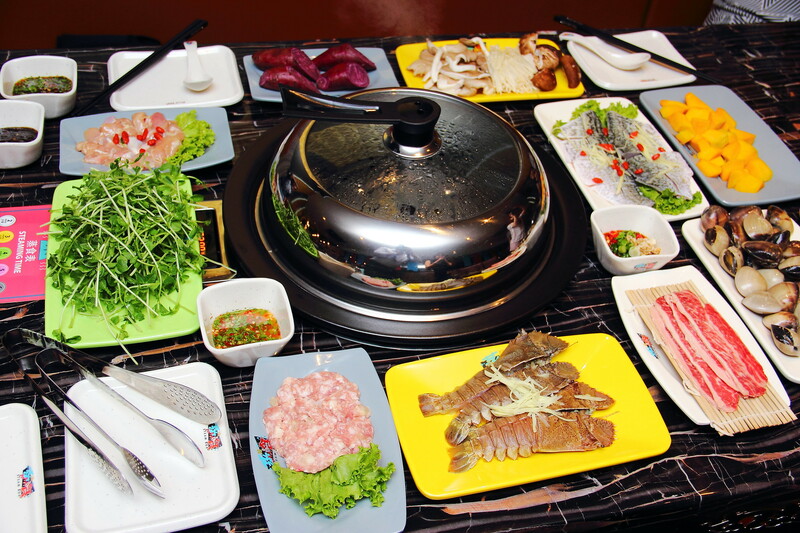 A new steam pot place, Steam Box has recently opened at Serangoon Garden. I first experience the new way of enjoying steamboat at Rong Fu Ji at The Grandstand. Hence the concept is not exactly new to me. The so called high speed steaming technology or more commonly known as steam pot is first brought to fame in Hong Kong by Alan Tam. 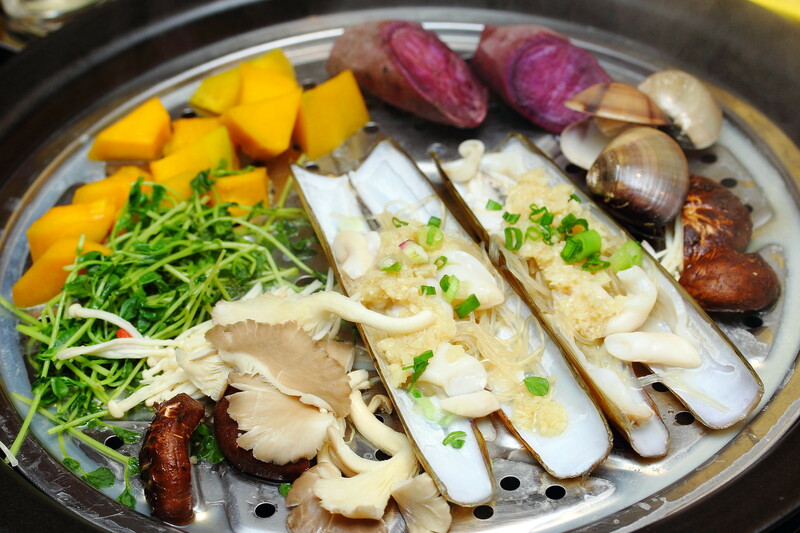 Similar to steamboat experience, all the ingredients are brought to the table raw. 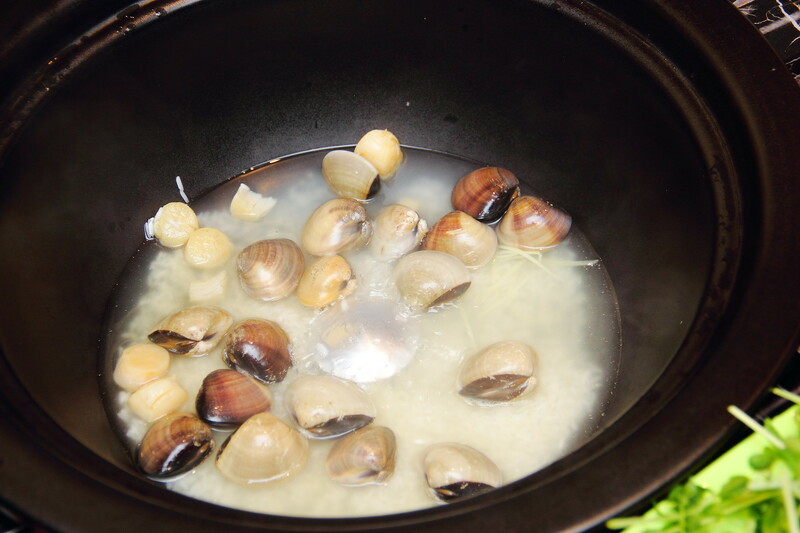 Instead of boiling, the raw ingredients is steamed in the pot around two to six minutes subject to the ingredients. This allows the natural juices and nutrients of the ingredients to be sealed in. First of all, diners need to chose between the Century Egg and Pork Ribs Congee ($15) or Clam and Dried Scallop Congee ($18). We choose the later in which rice grains, clams, dried scallop, ginger slices and chicken stock is added into the pot before the lid is placed over it. 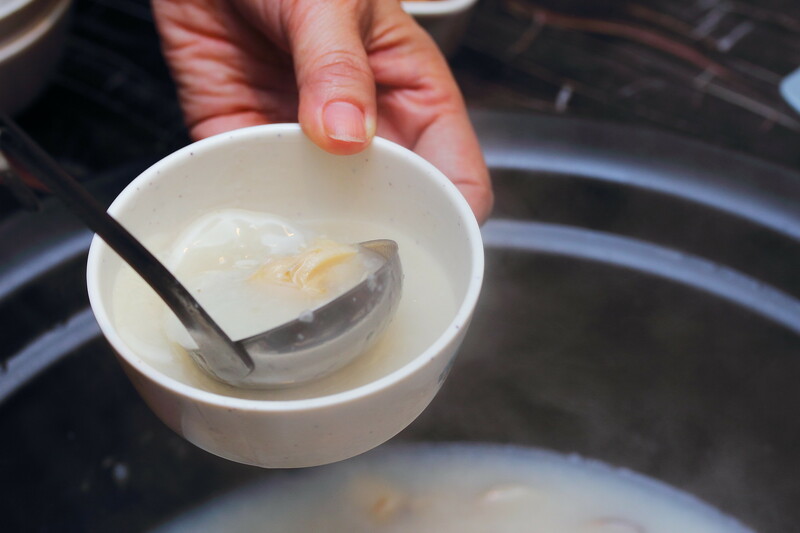 As the raw ingredients are being cooked, the essences will dripped down from the holes in the lid into the congee that is being cooked below. A noticeable different compared to Rong Fu Ji is that Steamed Box charges 3 times more for the congee and added chicken stock for flavouring. 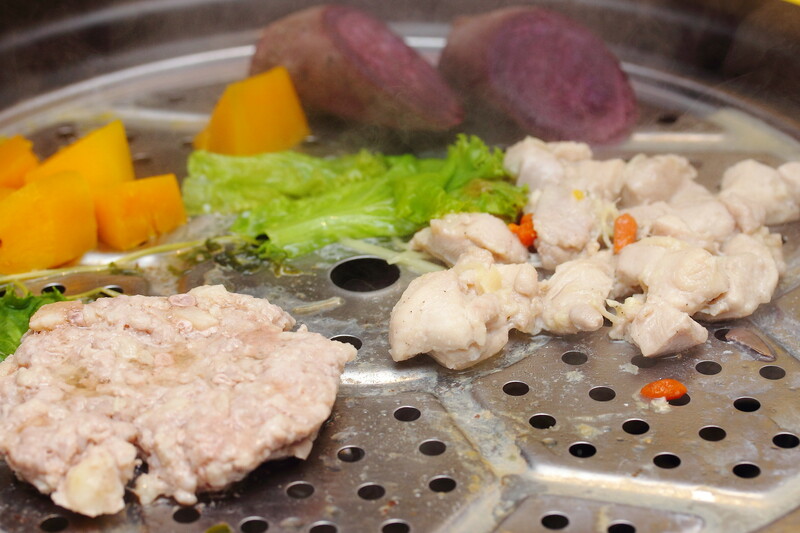 Once the lid is placed over the steam pot, you can start placing your ingredients on to the lid to cook the food. The steaming time of the different ingredients are determined by the colour of the plates. I find this operationally smarter than Rong Fu Ji. This will relief the staff from explaining to each customers how long to cook each ingredients as it is self-explanatory. 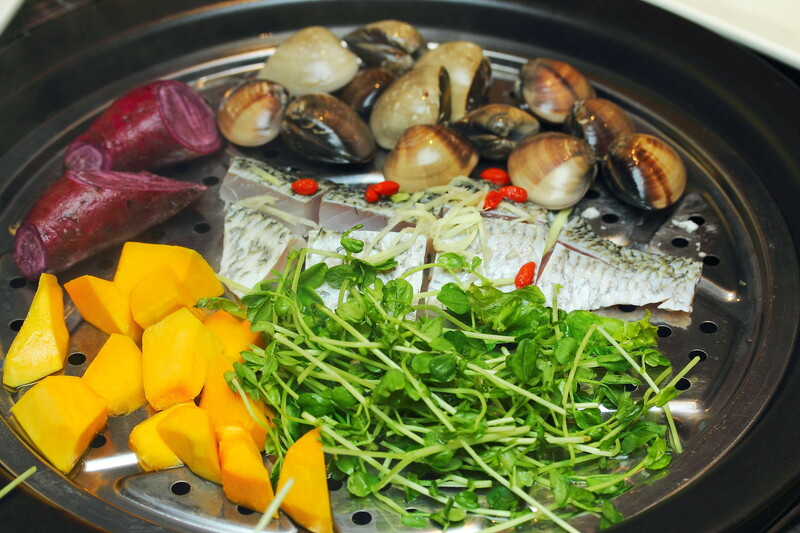 We tried a variety of ingredients on the menu such as the Baramundi ($15), Bamboo Clam ($18), Clams ($13), Cray Fish, Scallops ($18), Sweet Potato ($6), Pumpkin ($5), Assorted Mushroom ($8.50), Dou Miao ($5) and Wawa ($6). 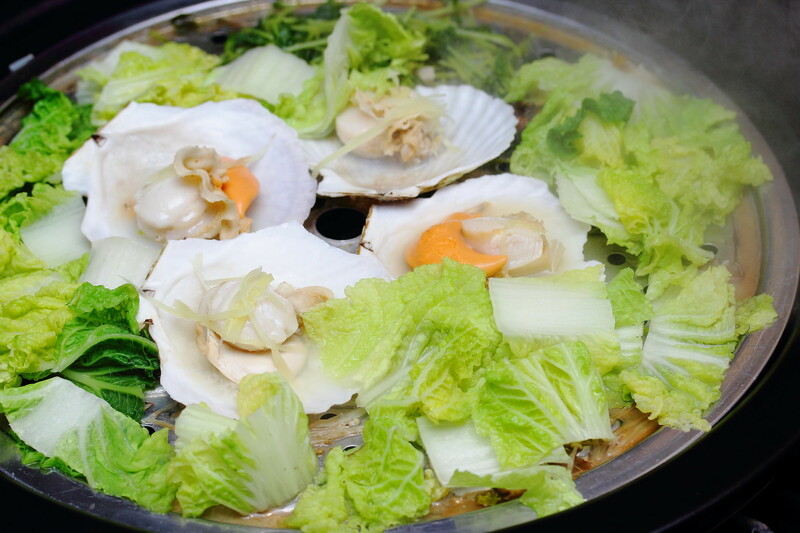 After trying both Steam Box and Rong Fu Ji, I still find that steam pot is best for seafood to appreciate the natural sweetness of them. For those that have a palate for heavy and rich flavours, you will find that the vegetables and mushrooms when steamed is rather bland in taste. This is more for those healthy eater without all the seasonings. Root vegetables fare better because of the natural sweetness. Singaporean likes varieties. So like Rong Fu Ji, Steam Box also offers meat on their menu such as Premium Prime Short Rib ($11.50/$23), Marinated Ginger Chicken Thigh with Wolfberry ($4.50/$9) and Marinated Minced Pork with Premium Salted Fish ($4.50/$9). I would highly recommend to go for the marinated minced pork with premium salted fish. 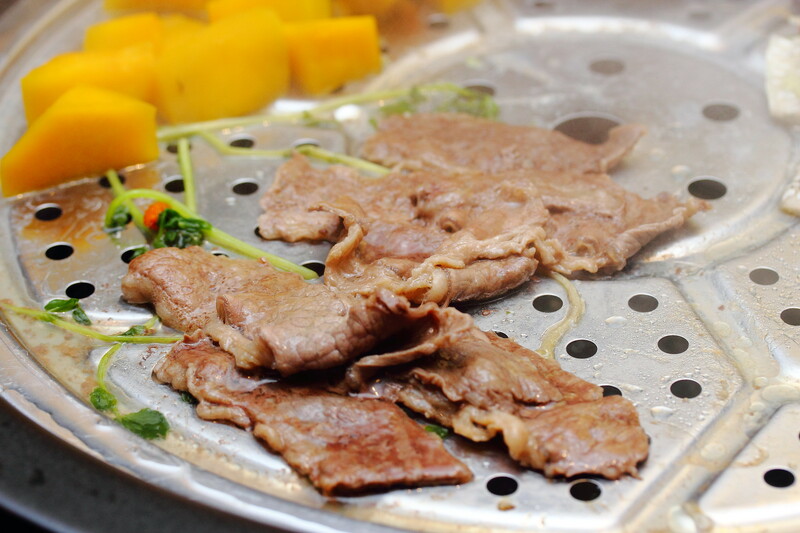 Another different between Steam Box and Rong Fu Ji is the value for money meat selection at Steam Box. 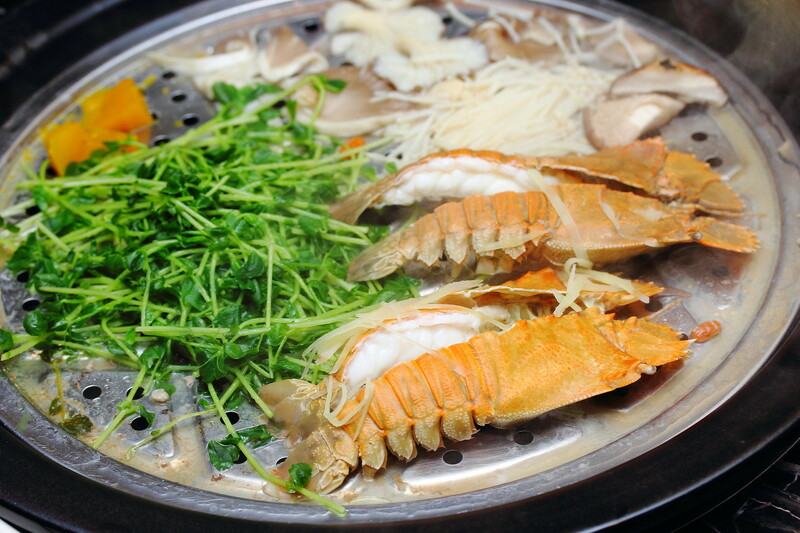 While Rong Fu Ji uses more premium quality cuts and without marination, once again emphasizes on the appreciation of the natural flavour, Steam Box targets the mass local palate that likes rich and heavy flavours. This is the part where I think Steam Box has an edge over Rong Fu Ji. 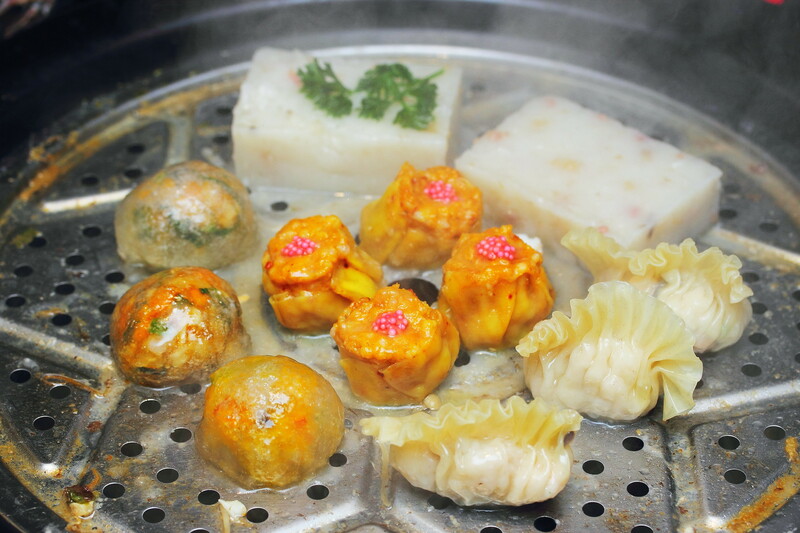 Steam Box introduces Steamed Dim Sum in the menu. Once again on the two points. Variety and rich in flavoured food. In fact there is a three factor, the fun element.. Diners get to cook their own dim sum. You don't get to experience it elsewhere. Last but no least, after you have finished cooking and eating all the raw ingredients. 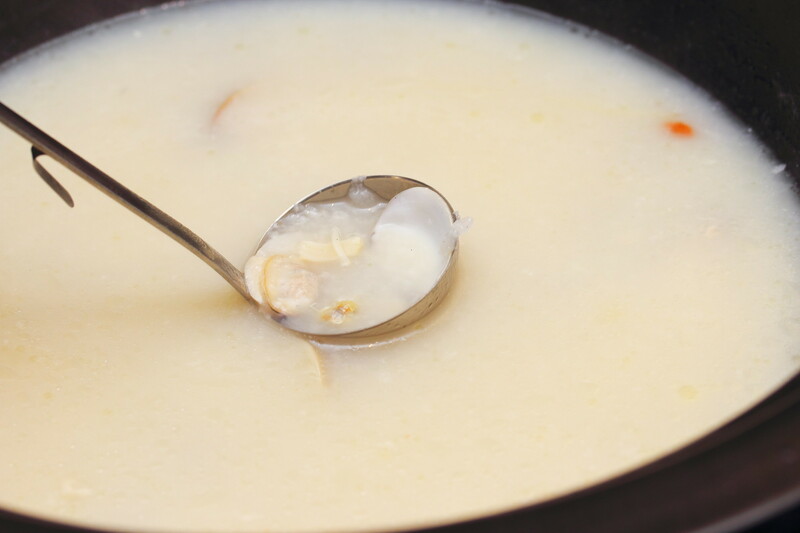 Turn off the heat and lifted the lid to unveil a pot of congee underneath. You can top it with some spring onions and fried shallots to wrap up the meal with a bowl of comforting steamed congee. After having tried both steam pot concept, the feeling I have is that Steam Box is more for the masses with their choices of variety. It also tweaked the concept to include marinated and seasoned ingredients to suit the local palate. Rong Fu Ji is still more authentic in the sense that they still insist on the appreciation of the natural flavour, healthy eating with the use of premium ingredients. While the business concept and target customer base is slightly different, I think Steam Box has an edge over Rong Fu Ju at the moment. Please note that there is a time limit of 2hr. We are chase out 1hrs45min into our meals, totally disappointed by their lousy service. Staff told us that their FB page did state about the 2hrs limit but we could not find it. I am not aware of it. They should have informed you all during the seating.